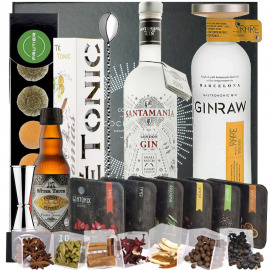 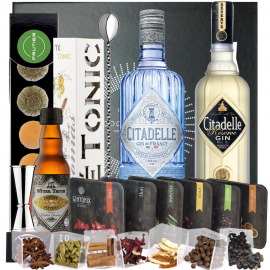 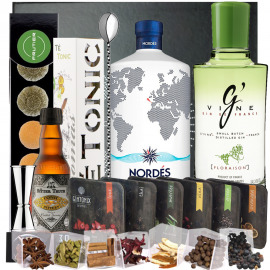 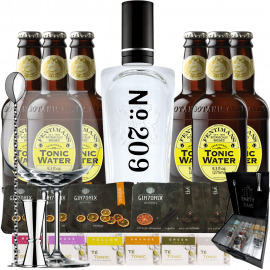 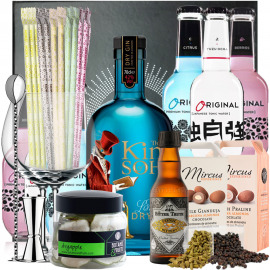 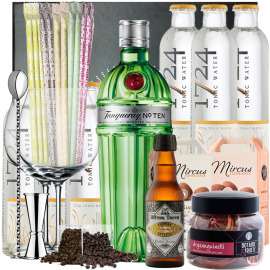 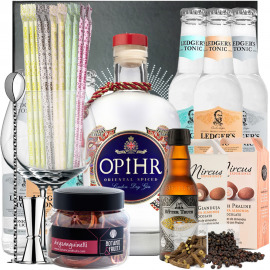 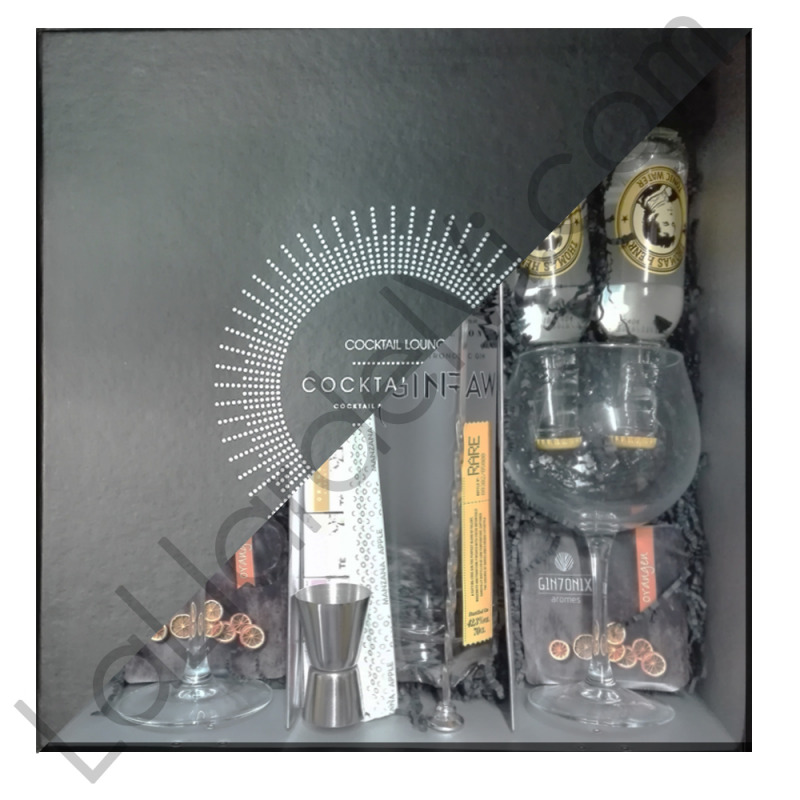 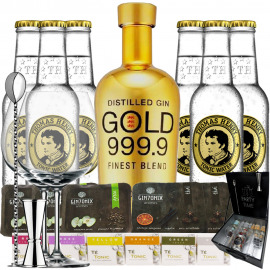 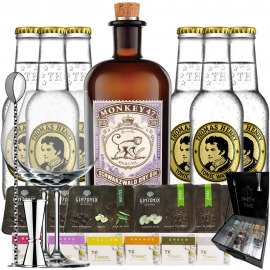 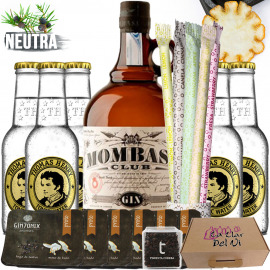 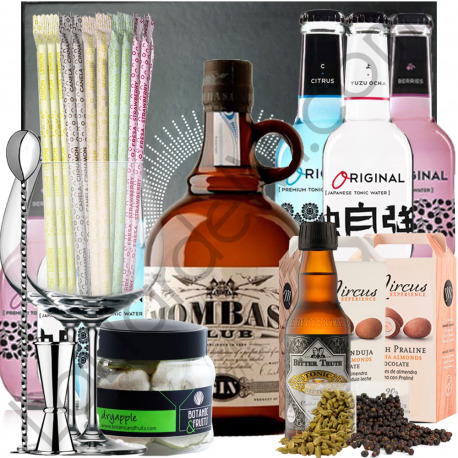 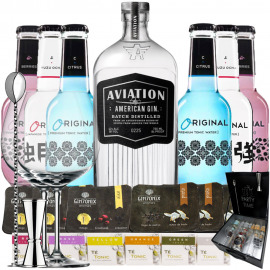 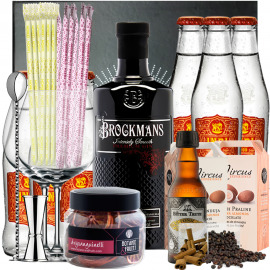 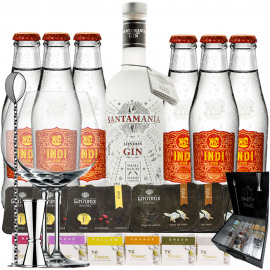 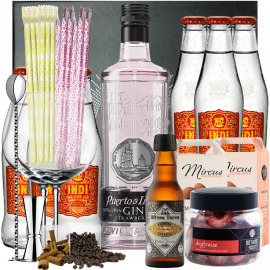 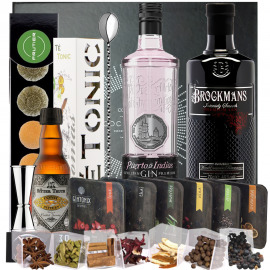 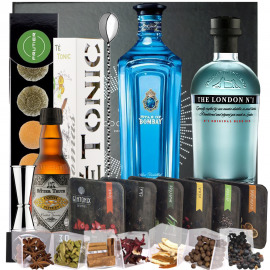 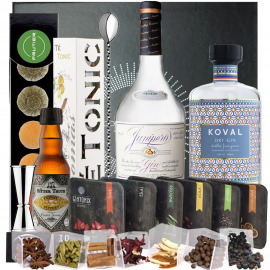 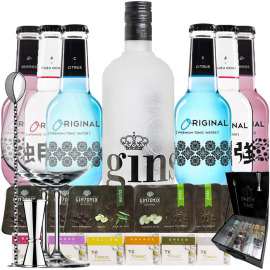 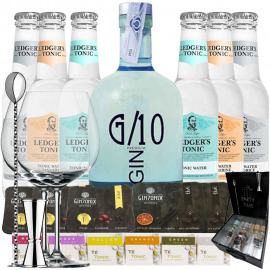 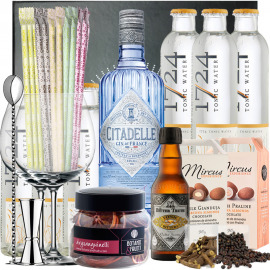 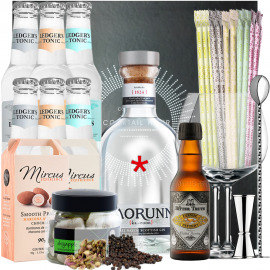 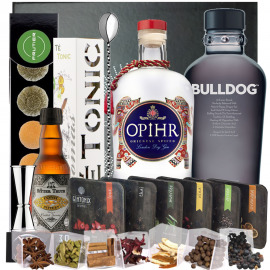 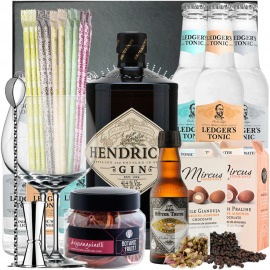 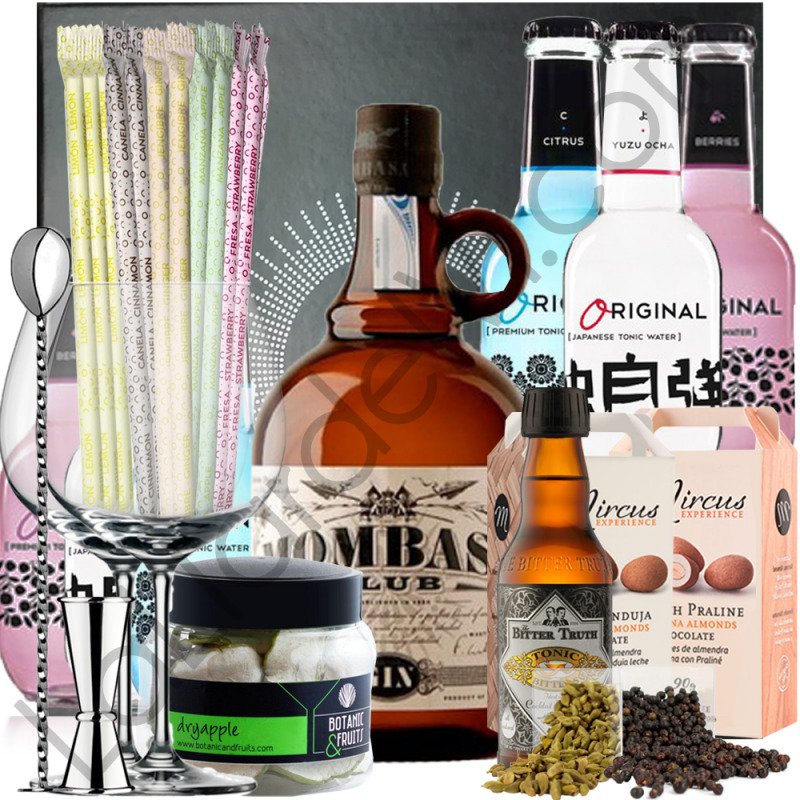 In this complete Kit Gin Tonic we find, in addition to the classic four-distillation gin Mombasa Club 70cl 41.5% vol . 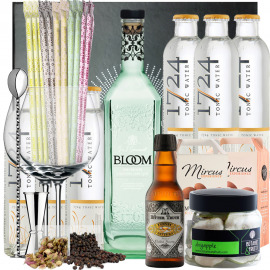 ; Six tonic Originals of three different flavors, twelve edible five flavors, Tonic Bitters 20cl, Mircus sweets, dehydrated apple, cardamom, juniper berries, two balloon globet glasses, measure, braided spoon and a case. 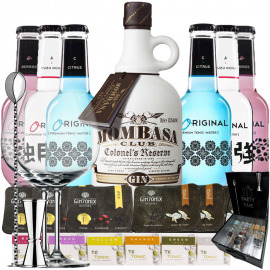 A Gin Mombasa Club London Dry Gin 70 cl 40% vol. 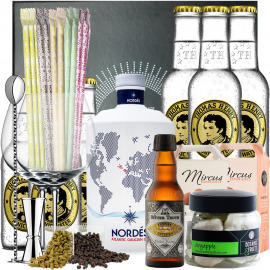 A The Bitter Truth Tonic Bitters 200ml 43% vol . 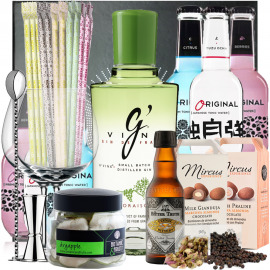 : Made with a combination of Grapefruit, Sicilian lemons, lime, Seville oranges, juniper and tea leaves, Tonic Bitters, with a couple of drops, It will ideally complement the Gin & Tonic or any cocktail that benefits from aromas and citrus notes .. 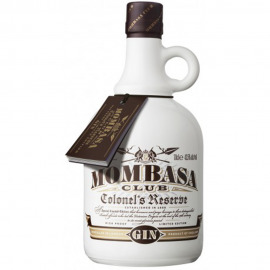 The Mombasa gin is distilled with eleven botanists using a recipe dating from the end of the 19th century and the typical distillation process of the London Dry Gin. 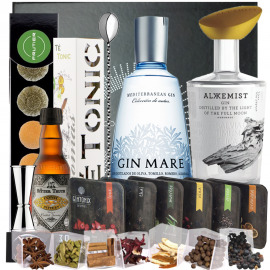 A soft and versatile gin, with the juniper as the protagonist and citrus notes with hints of cinnamon or cassia and cumin. 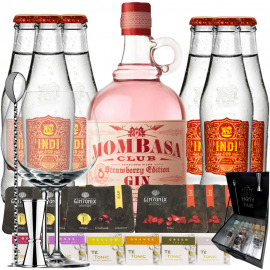 The Mombasa gin recipe dates back to the century using a recipe dating from the late 19th century and the distillation process is typical of batch distillation, Mombasa Club is distilled four times. 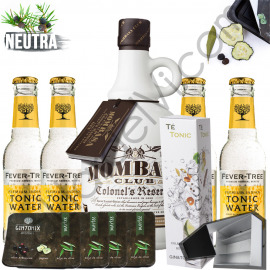 At the end of the 19th century and at the height of the Victorian era, the British Empire, immersed in a colonial struggle throughout Africa, colonized Mombasa, established opposite the Island of Zanzibar, soon became the main wharf and commercial core of East Africa. 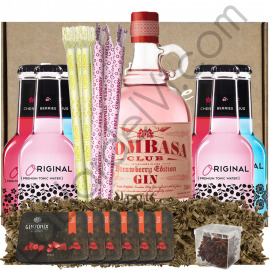 And it was here that the first private social club was created. 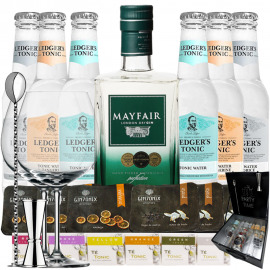 An exclusive native gin of England and specially distilled and elaborated for consumption and rejoicing of its partners. 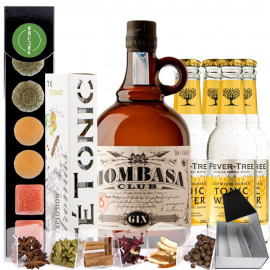 The Mombasa Club gin uses eleven botanists: juniper, as the main element of the distillate, nutmeg, angelica cumin, clove, coriander, orange peel and lemon.